An all-round approach: could the circular economy help the world turn the corner on climate change? This week, politicians from around the world are making a final attempt to craft a deal on climate change at the UN COP21 talks in Paris. The stakes could not be higher. Climate scientists largely agree that if the global surface temperature increase exceeds 2 ºC, the consequences could be catastrophic – drought, fires, coastal flooding, loss of agricultural production and increased spread of disease. Many believe one key element that could play a crucial role in curbing global warming is the transition from a linear to a circular economy. Since the industrial revolution, the world’s economies have used a linear “take-make-consume-dispose” pattern of growth, a model which assumes that resources are abundant, available and cheaply disposable. But, in recent years, concerns about a combination of issues, including the depletion of raw materials and the amount of waste being sent to landfill sites, has increased interest in the concept of the circular economy. In our most recent “In focus” briefing, we take a look at the application of circular economy principles. The briefing outlines the development of the concept, which has moved from the fringes of the ecology movement in the 1970s to the mainstream of thinking on economic development today. Circular economy principles have been adopted by companies such as Renault and by early-adopting governments in Japan and Scandinavia. Last week, the European Commission adopted a new Circular Economy Package aimed at boosting competitiveness, creating jobs and generating sustainable growth. As well as highlighting the economic and environmental benefits of the circular economy, the briefing also describes barriers to further progress, such as product design promoting obsolescence and weak fiscal incentives for business. The briefing also focuses on the role of UK local authorities in making the transition to a circular economy, and provides case studies highlighting examples of good practice. As the international delegates in Paris try to deliver the first new global climate accord in 18 years, they might be inspired by their surroundings. The organisers of the conference have taken circular economy principles to heart, including the provision of locally sourced food, water fountains instead of plastic cups and the rental of furniture, structures, material and lighting for the event. With the fate of the planet in the balance, it might not be too much of an exaggeration to describe the circular economy as a concept whose time has come. Our popular Ask-a-Researcher enquiry service is one aspect of the Idox Information Service, which we provide to members in organisations across the UK to keep them informed on the latest research and evidence on public and social policy issues. To find out more on how to become a member, get in touch. Follow us on Twitter to see what developments in public and social policy are interesting our research team. Is there any value in preserving our built heritage? 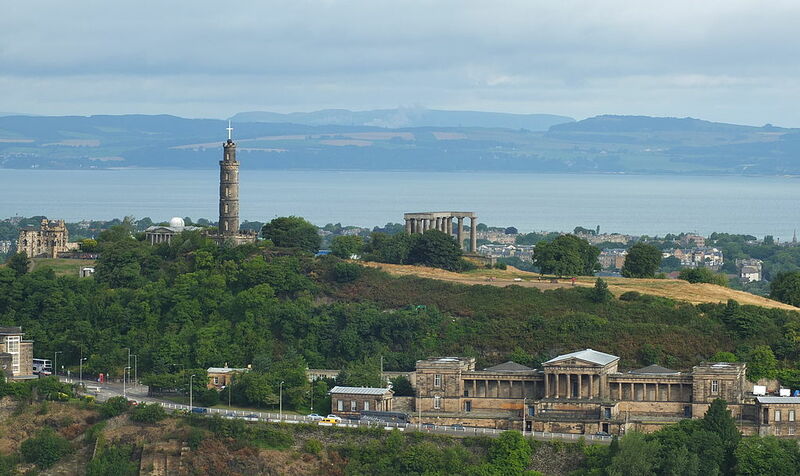 Concerns that Edinburgh may lose its World Heritage Site (WHS) status hit the headlines in October, as a team from the UK committee of the International Council on Monuments and Sites, UNESCO’s official adviser on cultural World Heritage Sites, arrived in the Scottish capital for a visit. Two controversial planning applications for luxury hotels in the city were the focus of attention – the conversion of the former Royal High School (at one time the planned home of the new Scottish Parliament); and the redevelopment of the 1970s St James shopping centre. The hotel on the St James site, with its ‘spiralling ribbon’ design, was approved by the council’s planning committee in August against the recommendation of council planning officers. The Old Royal High School application is yet to be decided, but is reported to have attracted over 2000 objections via the council’s e-planning portal. Historic Environment Scotland, statutory consultee for planning applications, has also lodged its official objection to the Royal High School scheme. Although there is uncertainty over whether Edinburgh’s World Heritage status is genuinely under threat, the controversy has highlighted an important issue for planners and city policy makers everywhere. What is the value of conserving the built heritage of a place? UNESCO itself acknowledges that less well-known UK sites “potentially gain more” than those famous prior to UNESCO designation. As an example of the benefits for smaller sites, it highlights the Cornish Mining WHS, whose annual income has increased by 100% since gaining World Heritage status. Even for more established sites, UNESCO argues that money invested in conservation by authorities in connection with World Heritage status encourages private sector investment. Using the Edinburgh World Heritage Site as an example, it reports that £414,246 in public grants for building conservation leveraged in additional funding from private sources of over £1.9 million in 2011-12. The most recent figures for 2013-14 from Edinburgh World Heritage still show that every £1 of public spending leveraged in about £5 from other sources, albeit on a lower level of spend – just under £180,000 in public grants resulting in a total spend of £971,563 on conservation. Are there drawbacks to WHS status? A 2010 Oxford Brooked University study of Bath World Heritage Site commented on the planning and development pressures created by the status, including as an example the city’s controversial redevelopment of another 1970s shopping centre (Southgate). The study found that the city’s WHS status “places additional responsibilities on the local council that are beyond its normal duties”, incurring costs that have to be met by the council itself. It concluded that “Bath does not gain any discernible additional economic benefit from being a WHS”. However the report does suggest that the status had enabled better preservation, stricter development control, attention to detail and investment in the public realm that may not otherwise have been as rigorous. Studies of the value of the built heritage more generally have been more consistently positive. English Heritage’s most recent estimate is that built heritage tourism contributed £5.1bn in the UK in 2011, and that, after including indirect and induced effects, the total economic impacts of built heritage tourism included 393,000 jobs and £14.0bn of economic output. From a business location perspective, the popularity of historic areas has been highlighted by research for the Heritage Lottery Fund, particularly for those in “the most highly productive parts of the economy” – professional services and the creative and cultural sector. It also found that the ‘heritage premium’ associated with the occupation of these listed buildings (the extra gross value added (GVA) they generate over and above the amount generated by businesses in non-listed buildings) is £13,000 per business per year. There are also non-financial benefits. A study by Newcastle University in 2009 found “the first robust evidence” that living in more historic built environments is linked to a stronger sense of place, and that interest in historic built environments is also linked with higher levels of social capital. The value people place on historic environments has been further shown in a study by researchers at the LSE, which found that house prices in conservation areas averaged around nine per cent higher than other areas. From a planning perspective, this study was also interesting in that it suggested that conservation areas were actually a popular planning policy both among planners and among the public. Planning officers appreciated the heightened ability to push for high quality new build in designated areas. And, surprisingly, home owners in the conservation areas who had applied for permission were more likely to have positive attitudes toward planning controls than those who had not applied. Perhaps this indicates that the perception of how restrictive planning controls are in conservation areas is not borne out in practice? Of course the danger to be avoided is the temptation to regard historic areas as something to be ‘pickled in aspic’. Cities are living, changing places and the aim of designations such as World Heritage Site and conservation area is not to prevent development. In fact the main objectors to the two planning cases in question in Edinburgh are not against the building of the hotels as such, but are based on certain specific design grounds. In the St James case, objections were over choice of materials and the effect of a height increase on the skyline; and in the case of the Royal High School, Historic Environment Scotland has objected over the scale of the proposed hotel, which would “dominate and overwhelm” the existing building. The Idox Information Service can give you access to a wealth of further information on planning and development. To find out more on how to become a member, contact us. Can cities exploit, conserve & promote their historic environment?